SAA file photo. Photographed by Benson Lin. 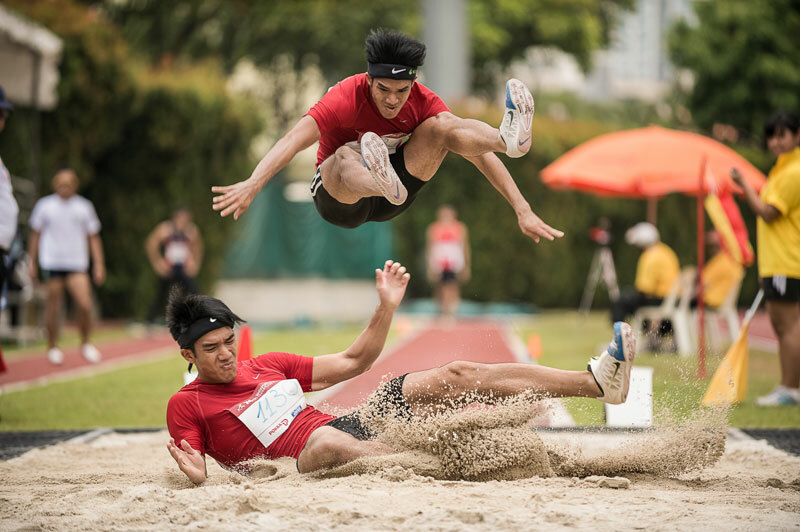 Current national record holder in the men long jump event, Matthew Goh tallied up the medal count for the Singapore athletics team to three on Day 3 of the 16th ASEAN University Games 2012. The 21-year old leapt 7.17 metres on his second final jump to earn himself a silver medal. It was a centimeter further than Indonesian Asril Abdullah’s attempt of 7.16 metres who had to settle for bronze. While gold was won by Vietnam’s Pham Van Lam who jumped 7.33 metres.